A sagging brow may give the face the appearance of tiredness, angriness or a severe look. Oftentimes, the curtain of skin hanging from the upper eyelid may be partially due to sagging of the eyebrows, which in turn, is due to a looseness of the forehead skin. 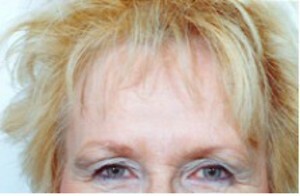 This is where a brow lift can help our patients from Champaign, Decatur, Peoria, and other Illinois communities. 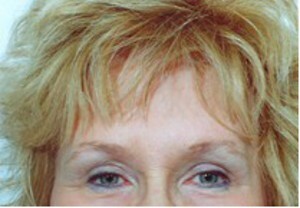 This procedure is intended to improve the appearance of the eyebrows and forehead area. A forehead lift is the single best operation to rejuvenate the upper face, producing not only a younger upper face, but also a more vibrant and awakened eye appearance. To learn more about brow lift surgery, request a consultationrequest a consultation with Dr. G. D. Castillo or call our office nearest you. We look forward to helping you enhance your look through skilled cosmetic procedures, and encourage you to view brow lift photos in our online photo gallery. The forehead lift not only raises the eyebrows but also helps decrease horizontal forehead wrinkles as well as vertical frown lines between the eyebrows. All the tissues of the forehead are loosened and then pulled upward and backward so that the eyebrows are raised and the skin on the forehead appears smoother. Dr. Castillo performs forehead lifts via very small incisions in the scalp and elevates the tissue with the help of a lighted operating scope. This technique is called endoscopic brow lift. The advantages of this procedure are very small incisions and a quicker recovery; although more expensive, this procedure offers very significant improvements. Brow lifts are performed on an outpatient basis in our our facility. This procedure may be performed in conjunction with upper eyelid surgery or a facelift in Champaign for more extensive facial enhancement. Although a forehead lift may sound like a rather major procedure, it really is not and healing is usually uneventful and rapid. There frequently is some bruising and swelling around the eyelids for a few days and there will also be some temporary numbness of the scalp and/or forehead. Routine activities can be resumed within 1 or 2 days and work can be resumed within 7 days. Cosmetics or dark glasses may be necessary to conceal traces of bruising or swelling which may remain during this period.